itel Mobile, one of the leading mobile phone brands in the country, recently unveiled its latest 4G smartphone offering, itel A40, at an effective price of Rs 3099 in association with Bharti Airtel (“Airtel”), India’s largest telecommunications services provider, under its ‘Mera Pehla Smartphone’ initiative. itel A40 comes equipped with multiple features, such as Smartkey, that provide added functionality to its users. Smartkey, which is located on the rear side of the smartphone, enables the user to complete a range of frequent tasks with the touch of a button, literally. 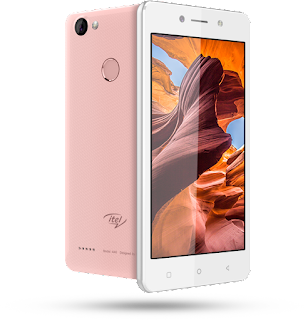 By using the Smartkey, itel A40 users can click photos, take screenshots, activate torch, end calls, and do a lot more without needlessly browsing through the user interface – helping them to do more in less time! itel A40 gives an evolved Android 7.0 (Nougat) experience to its users with the ability to split screens, freeze applications, and have multiple social media accounts (including WhatsApp, Facebook, and Instagram) logged in simultaneously. The phone also offers multiple local language support, along with more than 1500 emojis to connect with your friends and family. itel A40 has a lot of features to fulfill the needs of shutterbugs. 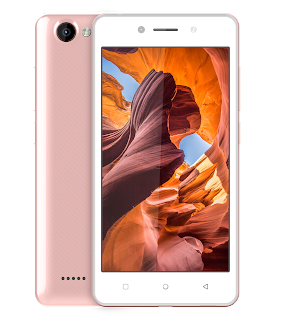 The smartphone comes equipped with 5MP rear camera with auto-focus and flash, 2MP front camera with selfie flash, and bigger and brighter 5” FWVGA display. The smartphone also has multiple immersive features to play around with, including audio pictures, frames, and GIFs. Users additionally get to enjoy the Panorama view to capture the beauty of a breathtaking landscape in its pristine form, a feature that can also be used to fit a large group into a single group selfie. itel A40 comes with an assurance of a long-lasting battery life with its 2400 mAh lithium-ion battery. An added benefit is that its proprietary battery optimization fetches about 9 days of standby time, 11 hours of non-stop 4G talktime, 14 hours of 3G calling, and 28 hours of 2G talktime. This allows users to enjoy endless video calls, photo clicking, media browsing, and gaming sessions, apart from using an array of other features, day in and day out, without worrying about frequently charging their phones. itel A40 delivers a seamless, powerful performance with its 1GB RAM and a 1.3 GHz quad-core processor. Adding to the delight of its customers, itel A40 also gives 8GB storage space and comes with OTG support to facilitate a seamless data and power transfer between OTG devices. It, moreover, enables a user to easily connect USBs, keyboards, and even digital cameras to the trendy smartphone. itel A40 is available at all leading mobile stores in three in-demand colors of black, rose gold, and dark blue. Itel A40 will be supported with the unique service proposition of 100-days replacement warranty. With a commitment of 100-days replacement warranty offered by itel on all its products, it is trying to elevate the overall end-to-end ownership experience for its customers.